Like Vini’s work with The Durutti Column, Sansyou is as interested in exploring the interstitial spaces between sounds as much as the possibilities of sound itself. There’s an elemental, almost spiritual quality to Sansyou’s music — the way circular guitar patterns ebb and flow like phases of a tide, and the way the band revels in restraint as much as release. Like The Durutti Column before them, Sansyou demonstrates you don’t need an armada of effects pedals and sheets of white noise to make music to lose yourself in. And lucky for DC music fans — Sansyou is celebrating the release of “The Glistening One” (their third release overall following two excellent EPs) by playing a special show at the Black Cat Thursday evening, Oct. 6, with DC-avant pop maestros The Caribbean and the Thalia Zedek Band. 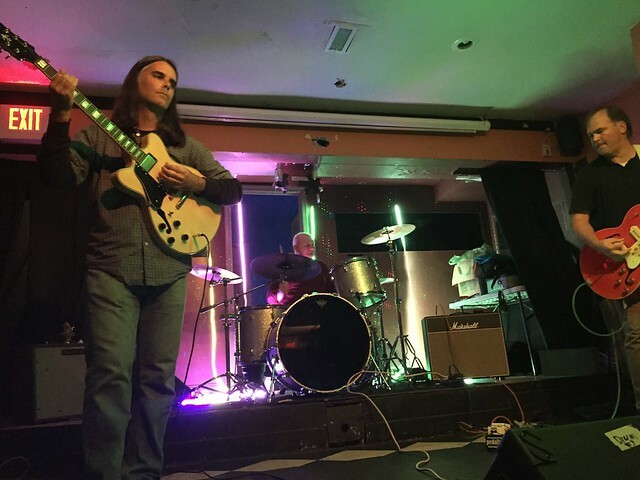 Rick Taylor: Congratulations on completing Sansyou’s first full-length record. It sounds great. One of the things I appreciate most about it is how well it captures different aspects of the band. You’ve got catchy, uptempo tracks that are quite driving like “Let It Expand,” reflective down-tempo numbers like “Subtle Energies” and “The Glistening One,” and even more ethereal pieces that seem to float through the speakers like “Level Flight.” Was it your intention to use the album format to stretch the band a bit further in these directions? David Nicholas: The full length allowed us to capture the material that has been in our live sets for the past two years, which is a pretty diverse range of sounds. All those songs, and more were ready to go, so we tracked them quickly. RT: We live in a day and age where most listeners are fixated on streaming individual songs rather than whole albums. And yet, “The Glistening One” is clearly an album where a great deal of thought and care has been put into the tracklisting order from start to finish. Can you talk a little about sequencing and what it means to the band? DN: I put a lot of thought into sequencing a live set, or a recording. Honestly, it comes from listening to the intentions behind a great DJ set where there’s a very purposeful arc on the beginning, middle, and ending resolution. It’s what I hear at We Fought The Big One [Rick Taylor’s DJ Party, first Fridays at Marx Cafe] when it’s firing on all pistons. The idea of tension, ascension and then a release; that’s what I’m aiming for as well. RT: One of the things I love most about Sansyou is how immersive your music is. The band doesn’t just create individual songs or tracks, it creates worlds. Remarkably, you achieve this without the use of a lead vocalist and without an over-reliance on effects pedals or white noise. What is the band’s philosophy toward not just songcraft but soundcraft? DN: Thanks for listening so deeply to pick up on that. Yes, it is important that guitars still sound like guitars and you can hear the individual strings, and that drums still have an impact and timbre that says it’s a physical event too. The absence of vocals and bass allows for these details to come forward in the mix, so yes, it is a very conscious part of how songs get written… to let those parts have some open space and shine without a claustrophobic mix of every effect under the sun. There are lots of moments in our songs where guitars are just straight into the amps totally naked. That’s as much a part of our sound as anything else. DN: That is the work of photographer Nalinee Darmrong, one of her original images. Just as she was preparing to release her own book of photos documenting her time touring with The Smiths, I approached Nalinee about doing the cover art for us. I sent her a few rough mixes of songs we knew would be on it, including the title track, and she responded with the image you see on the front cover. I love it and was very glad to work with her on it. RT: A fun question: The band’s video for “Let It Expand” features two marvelous beagles that seem to be galloping along in perfect synchronicity to the music and scenic views of Rock Creek Park. How did this video come about and what can you tell us about your furry friends? DN: You picked up on the uptempo energy of lots of these songs and my two beagles Phoebe and Millie give me so much of that, they were naturals for a video cameo. I guess in DC there’s lots of attention to Positive Force. To me, they are my Positive Force. I took that plus footage shot by my friend Braulio Agnese and my wife Nancy Miyahira to make something that gives you a sense of motion and energy. RT: Sansyou live shows are always must-see events in my book because your music takes on an even richer dimension in a live setting. What can you tell us about your Thursday show at the Black Cat with local legends The Caribbean and the Thalia Zedek Band? Thalia was in one of the best post-No Wave NYC bands, Live Skull. DN: We’re very excited for the show. We got to play with one of her side projects, Dyr Faser, a few months ago and were glad when she asked us to join her again. Her new disc Eve is fantastic. We’ve played with The Caribbean before, and it makes for a well balanced bill and they take their guitar playing seriously too, so it’ll be strictly adult swim in that regard. I hope everyone enjoys it. RT: Thank you VERY MUCH! See you at the Black Cat! 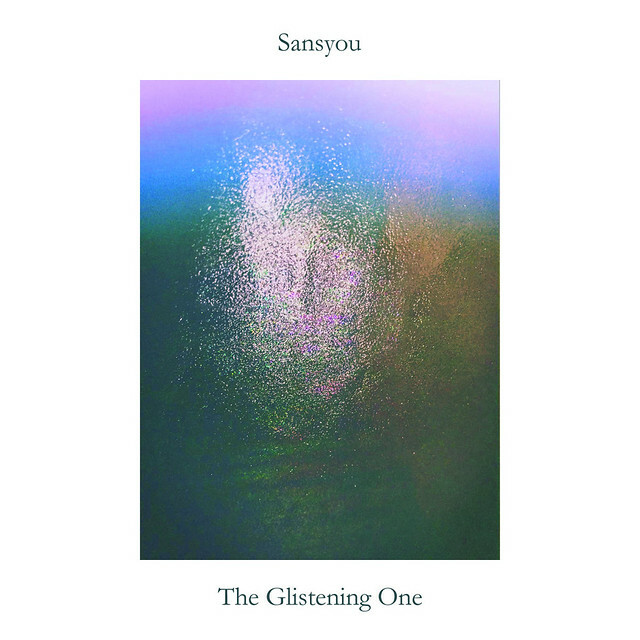 “The Glistening One,” the debut LP by Sansyou, is available via Moon Sounds Records. Check it out on Bandcamp. Discover more about the band on its Facebook page. And catch Sansyou at the Black Cat on Thursday, Oct. 6. Tickets are available online.